Women’s wardrobe would never be 100% feminine if there was not a dress inside: we love them as casual wear as well as most exceptional special evening attire. If you are on the lookout for a perfect dress? ELORA is there for you! Its exceptional, truly feminine flared silhouette will make you look appealing in most important situations. The vintage design is very figure-flattering and offers your frame the desired hourglass shape. Tight-fitting top with scoop neck shows off the collarbone and your upper body parts, and the cut-off waist halves the silhouette, introducing symmetry and a lovely shape. Flared skirt draws attention away from the hipline and the classic midi length exposes your appealing legs slenderising them a bit. 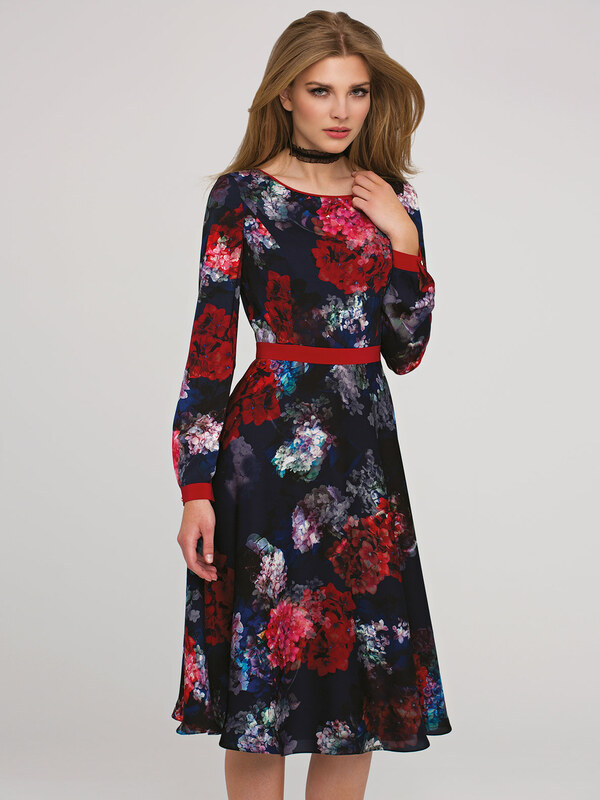 The floral print is reminiscent of womanly qualities and further helps to make you look comely and chic. The high quality fabric in modern prints and superb craftsmanship are but a few of its numerous plus sides. Fastened with a covered zip at the back. Elastane lining. What to match it with? 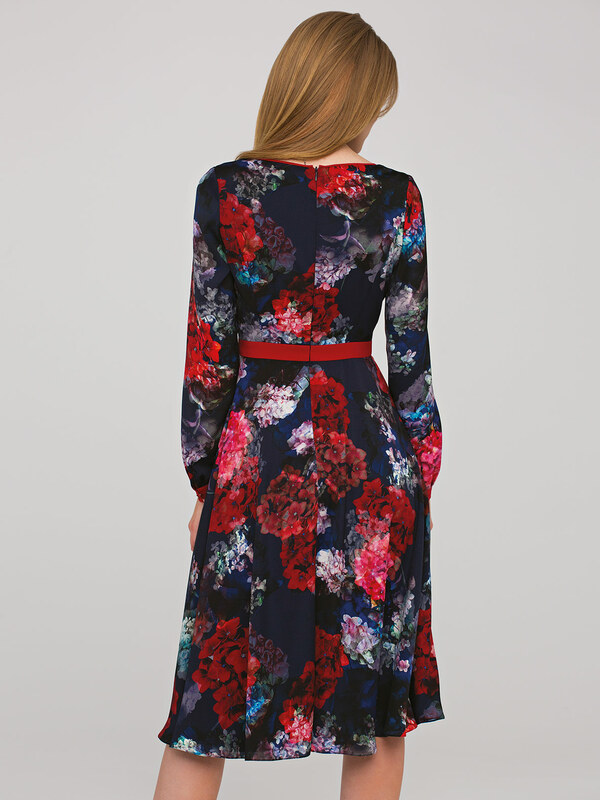 ELORA dress is a garment which you will find difficult to resist. Affirm your womanhood grabbing a pair of high heels and wearing gold while combining evening attire. Red lipstick will make you look lively and bold. Transition it into an “Alice in Wonderland” version simply matching the dress with flat pumps and a subtle purse. Which one do you prefer?